One of the perks of being president, at least since the start of the 20th century, is having a large, comfortable movie theater right at home. Your house might not be as opulent as the White House, but that doesn’t mean you can’t have a fantastic home theater. 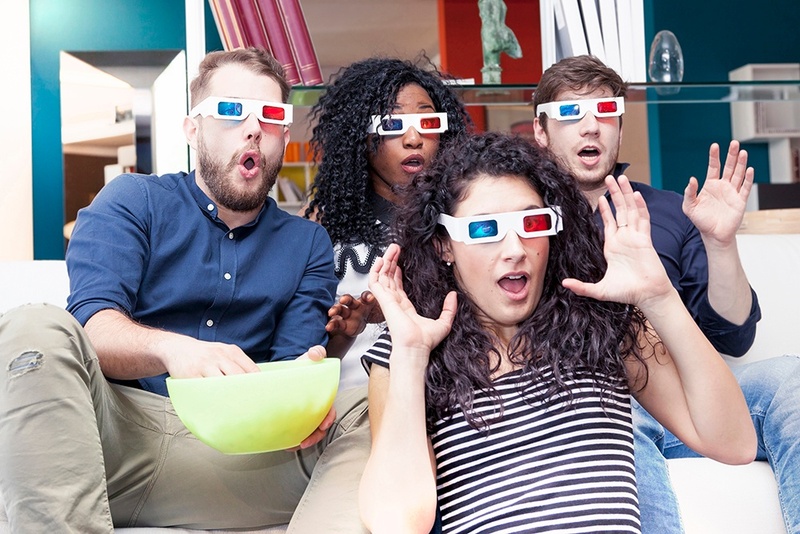 Here are a few tips for getting the most of your home entertainment room. Start by deciding what kind of room you want. Is it just a place to screen movies, play video games and watch the Super Bowl? Or will you use it to entertain guests, or maybe a place to hide out when your kids have a gaggle of friends over? From there, figure out your budget. Do you want to spend money on the biggest and latest TV or the most comfortable couch from which to watch it? The room you’ve chosen to serve as your home entertainment center might not be as large as some of your other rooms, so you may need to spend some time optimizing your space. You need some distance from your screen to get the full experience, so try to push your furniture to the back of the room, with your TV on the other side. You may want to leave some space for people to enter and exit behind your couch/chairs so they aren’t blocking the screen. If you plan on using the room as a home office or a space where you can curl up with a book on the weekend or sick days, make sure you can let in some sunlight. Invest in some blackout curtains to keep sunlight off the screen. And a good home theater has – like your local cinema – rugs and carpeting to absorb sound. Try to screen the latest Avengers movie in a room with tile or hardwood floors and prepare yourself for a Hulk-sized disappointment when it comes to sound quality. Most TVs on the market these days are plasma, LCD or LED HD. Of the three, plasma screens are best for bigger rooms, but require a darker room. LCD and LED TVs are brighter and better for rooms with plenty of natural light. And you’ll want a good sound system to go with the TV. Consider a 5.1 or 7.1 surround system, which includes five to seven speakers (and a subwoofer). Place speakers behind the TV, around the corners of the room or behind furniture. 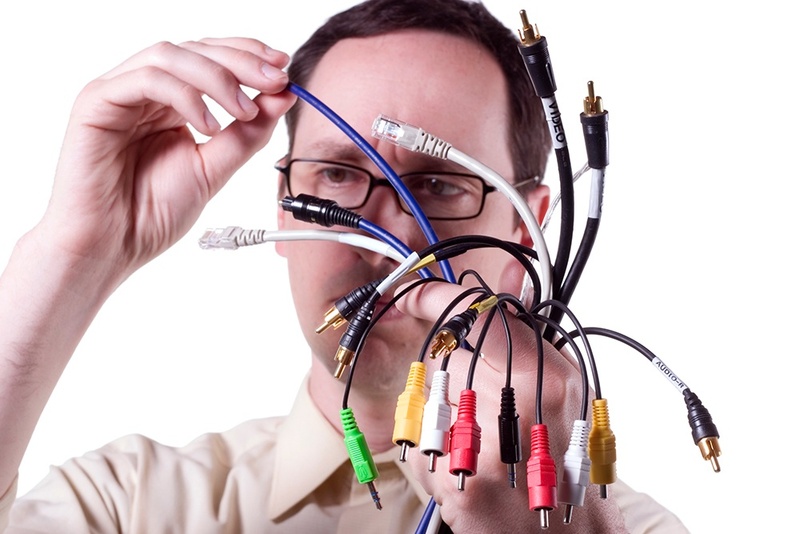 A home entertainment center that includes a TV, DVD/Blu-ray player, video game console and other electronics will need a lot of wiring. And these wires are going to get tangled, unless you act early. Find some plastic wire clips to keep the wires bundled and then tape them to ground. It will save you a lot of frustration whenever you’re cleaning, or installing new equipment. You might swear by Netflix and Amazon Prime – not to mention all the stuff waiting on your DVR – but we’d bet you still have a stack of DVDs and even some old CDs you don’t want to part with. That’s why your entertainment center should include shelves and cabinets to store all these important items. Not every movie is available to stream, and there’s that record you bought in college you can’t imagine giving up. Some striking cabinetry can keep it safe. 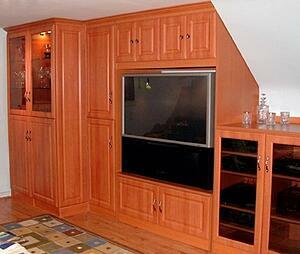 If you’re looking for shelves and cabinets for your home entertainment center, Closets & Cabinetry can help. 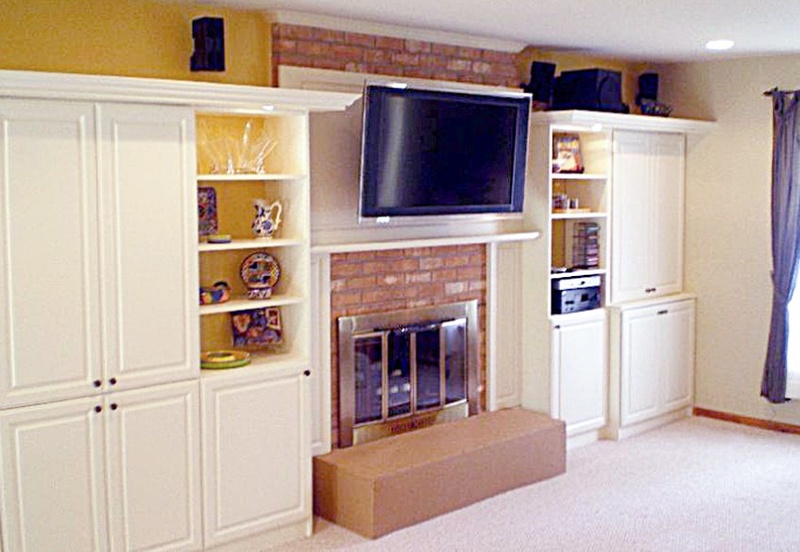 We offer the same attractive shelving, wood varieties and crown molding for your home theater as we do for our closet systems, making your entertainment center as lovely as the home that surrounds it. Contact us today, and let our custom cabinet experts work with you to find a storage solution that protects your equipment.